This edition of Excited about Eating takes us to East Charlotte to Mily & Lalo Peruvian Restaurant. The last time we visited a Peruvian restaurant, we really enjoyed the food, so it was an easy choice to try another one. We weren’t disappointed. Dora here. 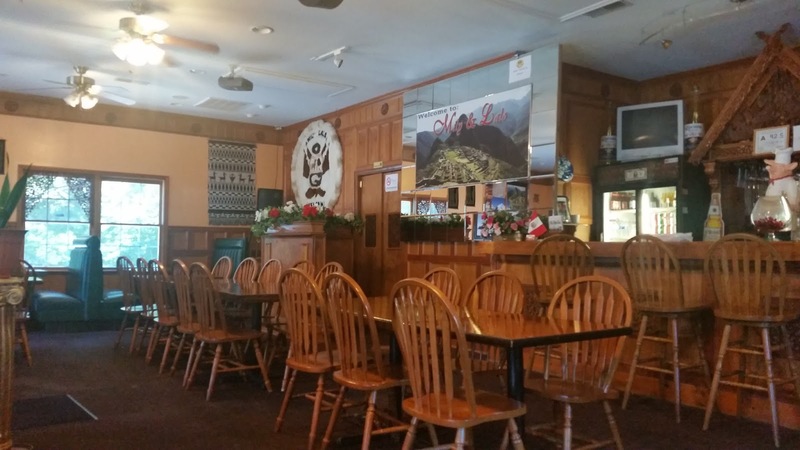 The empty seats alarmed us, but we visited on Sunday after our early church service, and figured we beat the crowd for lunch. 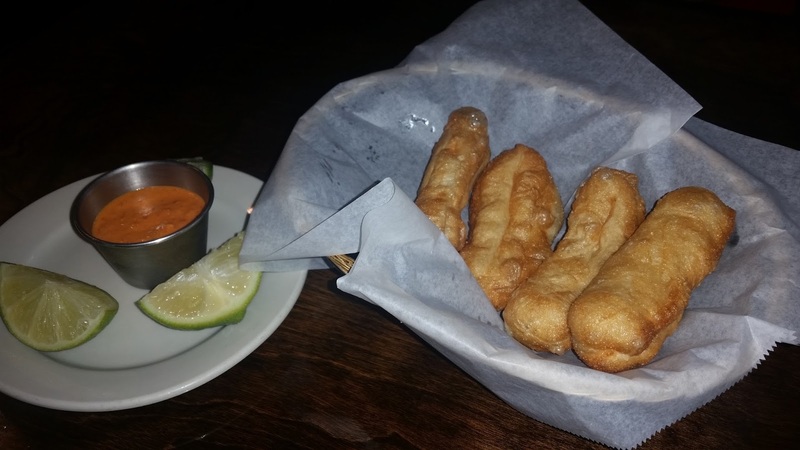 For starters, all guests receive a complimentary basket of Yuca bread. This bread was great, much like a yeast doughnut without the sweetness, very light and melt in your mouth. Dora here. Yuca bread? What a surprise! We’ve eaten Yuca on several occasions and especially enjoy it fried like french fries. Loved it served this way. But see that sauce? Mercy! That fire burns all the way down! Don’t dip your bread in that sauce. Phew. 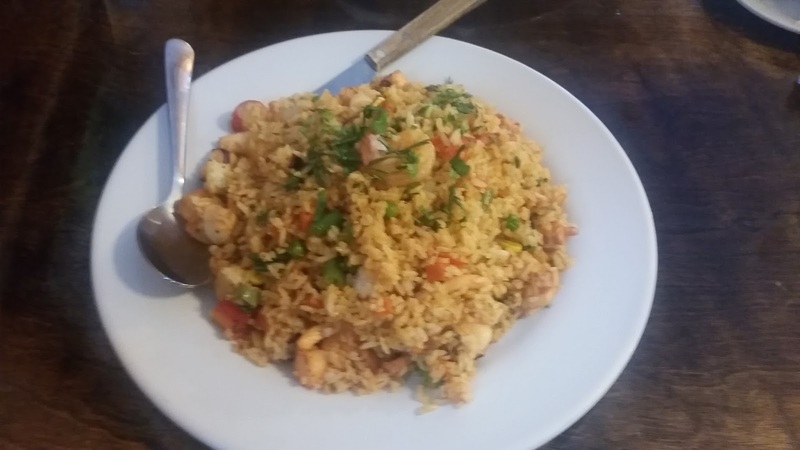 For my meal, I chose the Arroz Con Mariscos, yellow rice with seafood and a blend of spices, sometimes called Peruvian paella. This dish was very good with just the right amount of spice and loaded with seafood. Adding a gravy for moisture would’ve nudged this dish to great. Dora here. 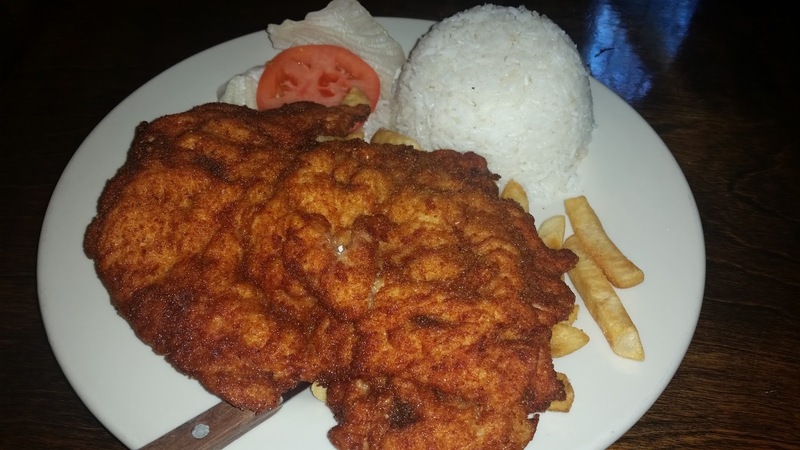 The Milanesa de Pollo…Yum! The fried chicken breast, tender and moist, takes up plenty of real estate on this plate, doesn’t it? I didn’t touch the fries, tucked under the chicken, and only nibbled on the rice because I ate every bite of that juicy chicken! Even if they served gravy or butter and brown sugar on their rice like I prefer, I probably would’ve skipped it in lieu of the chicken. Delish! All that food (with leftovers!) and the bill was less than $28, including tip. Definitely budget friendly, and the service, attentive and quick. What’s the most unusual bread you have you tried? What’s the last food you were surprised to find out what was in it? Always enjoy your food posts. I'm not very adventuresome so don't know that I have tried an unusual bread.